Their timing couldn't be any better. As Robert Pattinson and Kristen Stewart give their beleaguered relationship another go, their new film Twilight: Breaking Dawn Part 2 is set to hit screens. But while the pair have ignored speculation the split was all just a publicity stunt, the whirlwind of press attention it has brought their new film cannot be unwelcome. To wet fans appetites even more, a new feature has been released, showing the two embracing as they talk about the last installment of the money-making franchise. 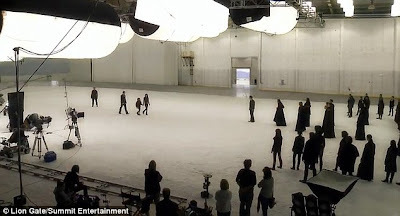 While the promotional material was filmed prior to the pair's break-up, it comes as they putting their passionate relationship back together. 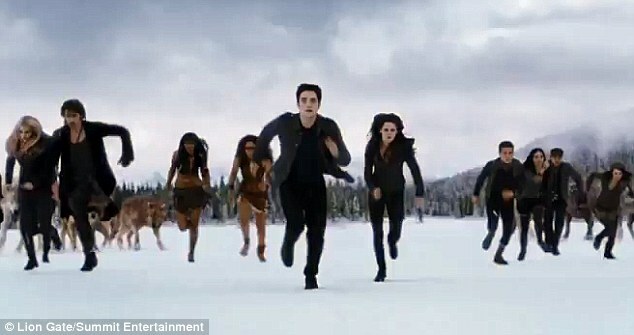 In the two-minute teaser, Twihards get an early glimpse behind-the-scenes of the popular film franchise, including aerial wire shots of Bella utilizing her new vampire skills by bounding off of forest cliffs. 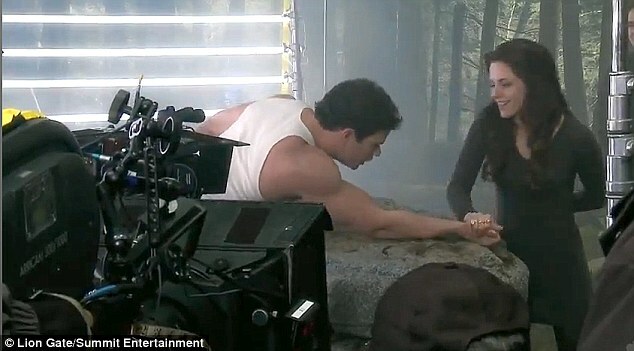 The 22-year-old starlet is also seen smiling as she wins an arm wrestling match with her muscular, hunky co-star Taylor Lautner. 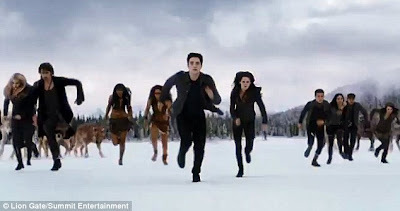 The final chapter, released November 16, focuses on Bella and Edward adjusting to life as two vampires with a half-vampire daughter Renesmee, who is played by the adorable Mackenzie Foy. However, false rumours are spread that Renesmee was transformed into a vampire after her birth - a major taboo in the vampire world. 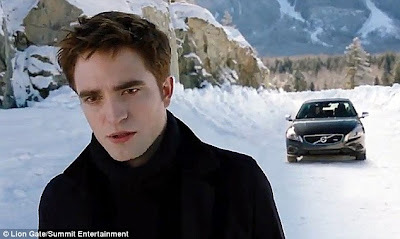 After fans were disappointed by the novel's ending, word has it that the director Bill Condon shot a super-secret different ending for the film. 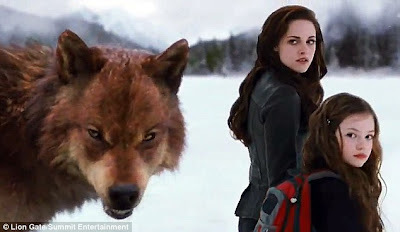 After Kristen's scandalous affair with director Rupert Sanders in July, many worried how the troubled starlet would be able to promote Twilight side by side with Pattinson. 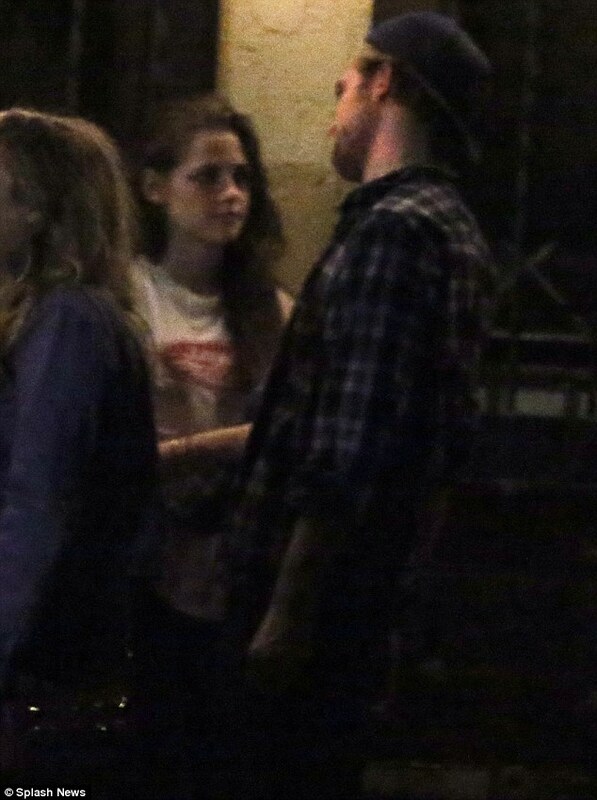 But numerous sources are declaring the on/off couple are definitely back on. On Wednesday, the Twilight lovebirds were spotted kissing poolside at her new Los Feliz home and last Sunday they were photographed leaving hipster bar Ye Rustic Inn together. 'They seem attached to the hip again,' a source told People magazine. Meanwhile the 26-year-old hunk was spotted leaving LAX on Friday to begin promoting the vampire flick in Sydney, Australia. According to Deadline, Robert just signed on to play a supporting role alongside fellow British thespian Carey Mulligan in the film Hold On to Me, which begins production early next year. He'll also appear opposite Guy Pearce in The Rover as well as Mission Blacklist, a film about the hunt for Saddam Hussein.